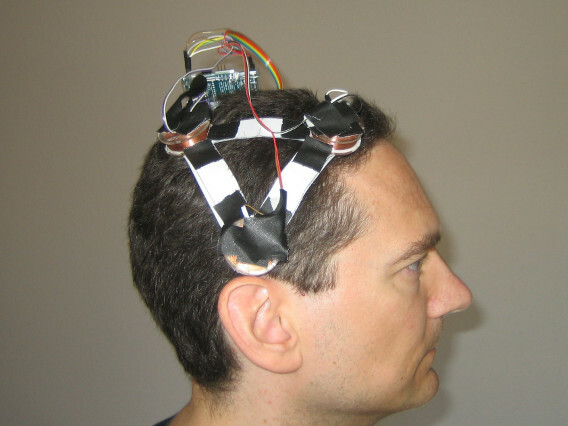 New to DIYtDCS? This is the ‘start here’ collection of articles and posts. Best instruction video for C3/Motorcortex & F3/DLPFC electrode placement. Is this (tDCS for depression in pregnancy) the first ‘killer app’? Simple Montage list with electrode placement and research sources. Marom Bikson & Peter Toshev ‘Your Electric Pharmacy‘ (excellent overview/intro). tDCS SubReddit is where the action is. Now with tDCS FAQ! Dr. Brent Williams’ DIY device and protocol. First of all I need to reiterate that I am not a health professional by any means (I’m a retired musician). I was attracted to tDCS when cognitive enhancement effects were first reported back in 2012. Now years later I’m still not convinced there’s anything more than placebo going on with tDCS as far as cognitive enhancement goes, though as I’ve stated elsewhere on the blog, the research seems more conclusive around tDCS being an effective treatment for depression. Parkinson’s is a progressive, debilitating, and at present, incurable disease that robs people of a wide variety of function, but especially movement and speech-related abilities. I have a close friend with Parkinson’s so I’ve been following the related tDCS literature. A recent study suggests that tDCS may prove to be an effective way to help with movement issues. In Effects of Transcranial Direct Current Stimulation (tDCS) Over the Frontal Polar Area on Motor and Executive Functions in Parkinson’s Disease; A Pilot Study researchers at Toyama University Hospital, Japan, found that anodal tDCS improved motor function in patients with Parkinson’s. Note that this was a very small study (9 patients, early in their Parkinson’s). In this blog post I will attempt to present a DIY version of the study protocol. 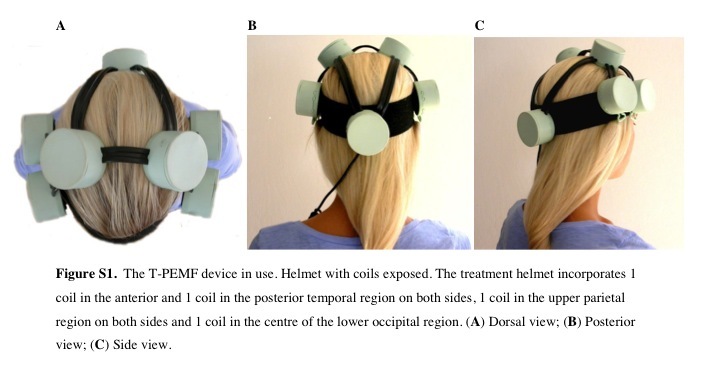 To the best of our knowledge, this is the first clinical research reporting that tDCS over the FPA successfully improved the motor and non-motor functions in PD patients. These findings suggest that tDCS over the FPA might be a useful alternative for the treatment of PD patients. The stimulation current was delivered … through a pair of saline-soaked sponge electrodes (5 × 7 cm) over the frontal polar area FPA, and occipital area (OPA). tDCS was applied for 1 week (5 times/week: Monday–Friday). A constant current of 1.0 mA was delivered for 900 seconds (15 minutes). 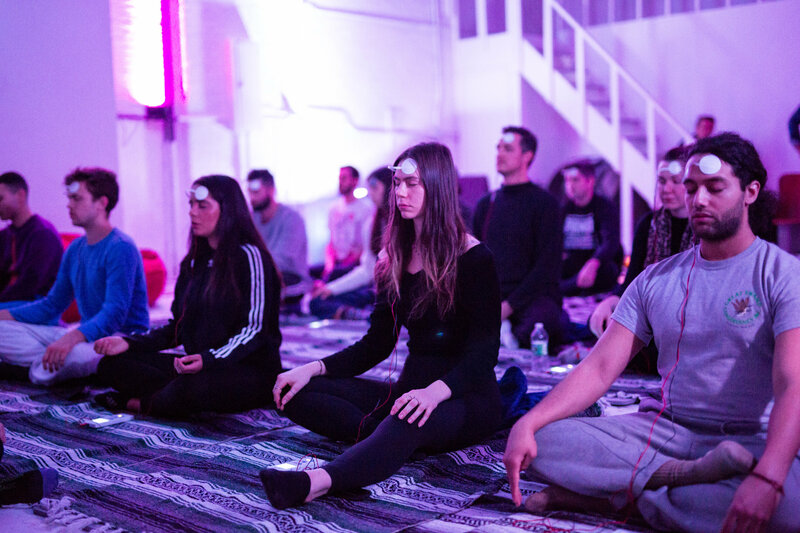 During the tDCS protocol, the patients received traditional physical therapy in the upper extremities (stretching and muscle strength exercise) while sitting in a chair. 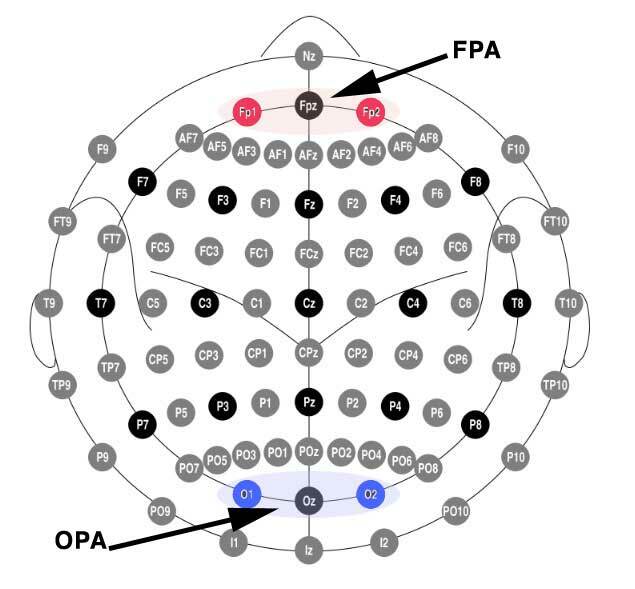 According to the 10-20 EEG system (pdf), FPA is defined as Fp1 and Fp2, and OPA is positioned near O1 and O2. Digging into the previous study I determined that they used FPZ to target FPA, and OZ to target OPA. Yes but… what does that look like on a head? 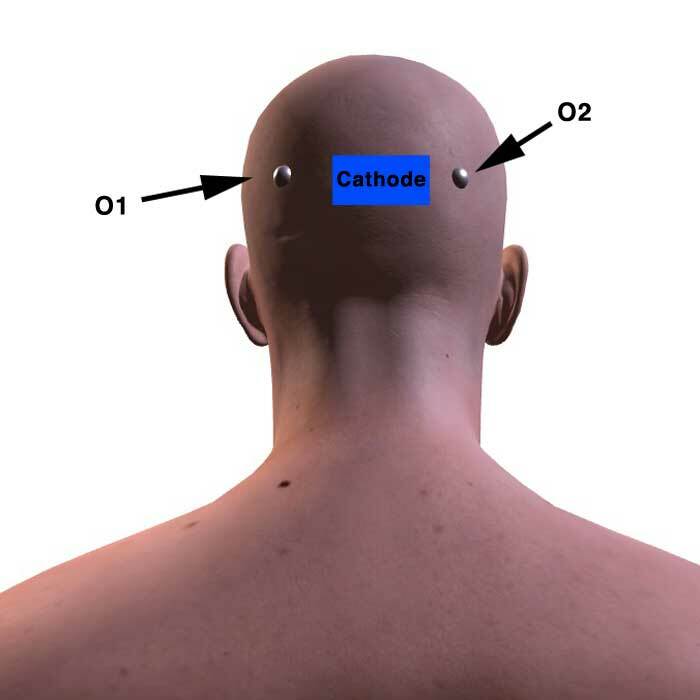 Here I’m indicating the electrode targets using the Foc.us placements head model. (Above) Cathode placed at Oz to target occipital area (OPA). 1 mA stimulation, (approx) 2″ x 2″ saline-soaked sponges, for 15 minutes placed at Anode-Fpz and Cathode-Oz, every day for five days. 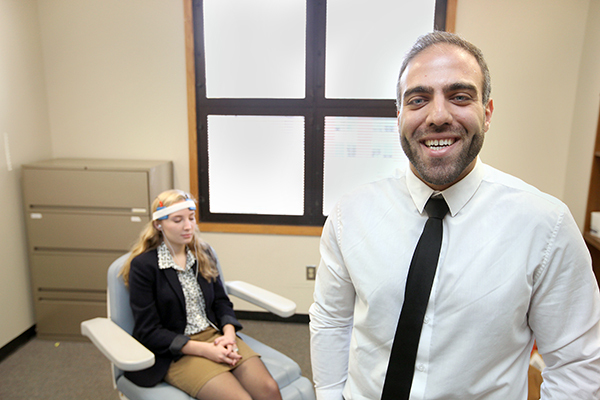 Note that the study participants underwent their usual regimen of physical therapy while the tDCS was being applied. Am I suggesting you try this? No, I’m not. I personally do intend to see if this can help my friend whose walking and talking are becoming difficult. For this reason I wanted to be as clear in my understanding of the study as possible. These come up once in a while and I like to alert readers to Caputron specials. I’ll remove the post when I see that the special has ended. Remember to add discount code diytdcs at checkout for additional savings ( I also receive an affiliate fee when you use my discount code). Updated 9/3/18: TMSuino3 A low-cost arduino-based TMS (transcranial magnetic stimulation) device. This github project is a step-by-step manual. 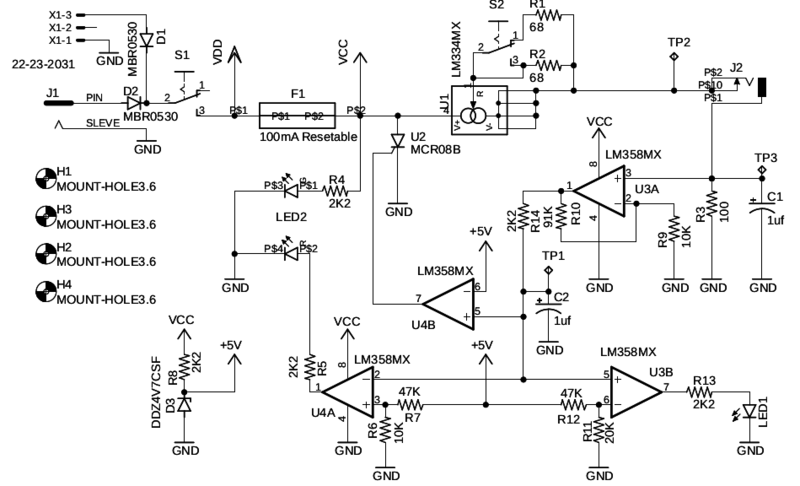 Anyone with a high school diploma should be able to follow it and build a TMSuino themselves. That’s what I was aiming for. TMSuino’s principle of operation is taken from a scientific paper published in the 1990s. So it is free of valid patent claims. Costs for parts, materials and shipping should be around 150,- dollars/euros. There is no soldering required! Estimated build time is 2 1/2 hours. 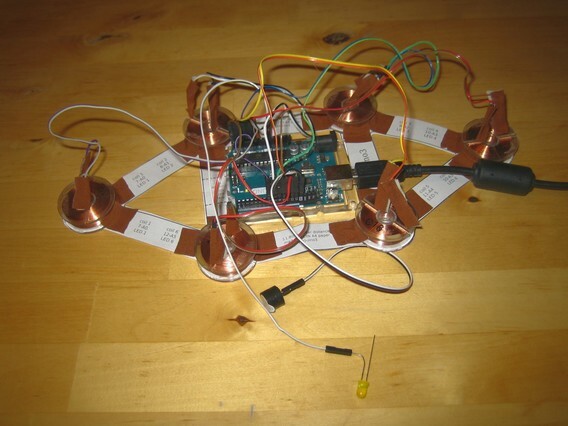 A comment on the blog from Martin Mueller informed me of this very interesting new arduino-based TMS device. I’ve also posted a link to the r/diytdcs Reddit page in hopes of hearing feedback from more technically-minded folks. I will update this post as info emerges. 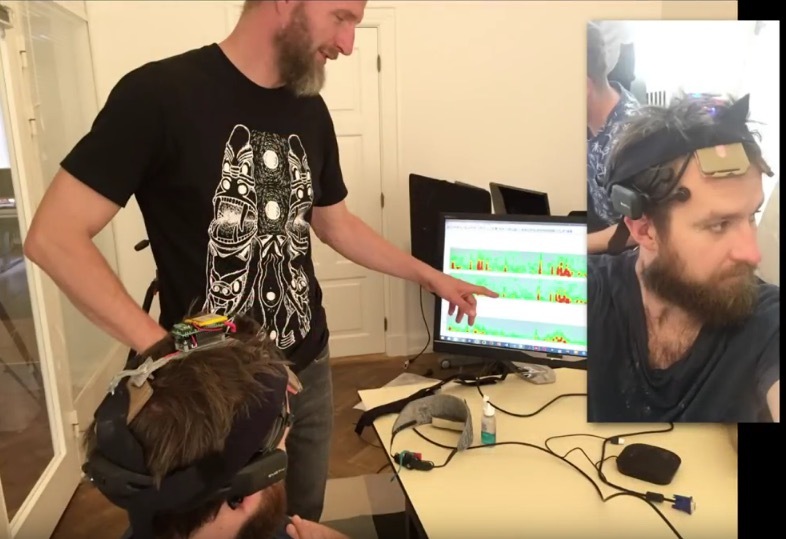 TMSuino3 seems to be loosely based on the work of Steen Dissing whose device we looked at in 2015 (see below) where it’s referred to as Transcranial Pulsating Electro Magnetic Fields therapy or t-PEMF. The Introduction to the github article collects the author’s frustrations and suspicions around transparency in the bipolar research community and basically comes away from the experience hypothesizing what sounds like a conspiracy. Wait, big pharma and medical device companies manipulating the market to ensure maximum profit? Either way, he shares an article that confirms Steen Dissing’s frustration in getting his device accepted and adopted for treatment of depression in Denmark. An Inventor’s Triumph and Frustration. 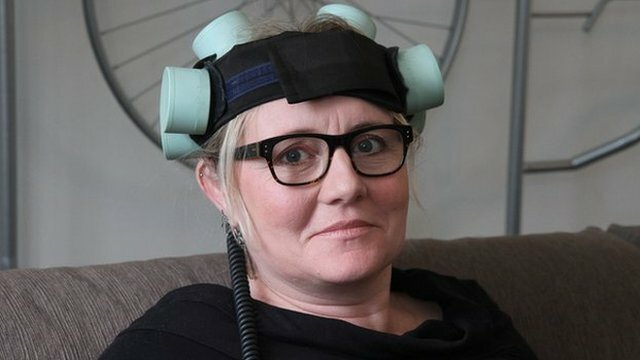 It turns out a medical grade device has been developed and approved for treatment of depression in Denmark. The Re5, made by Navamedic. There are a collection of research papers linked to at their site. “The helmet is amazing,” said Annemette Ovlisen, a graphic artist who suffered recurrent depression for 16 years and a participant in the Hillerod trials. It’s like the fog lifts. It was like somebody hit the reset button.”The device contains seven coils that deliver a dose of Transcranial Pulsating Electro Magnetic Fields (T-PEMF) to brain tissues.The pulses are so minute that the patient cannot detect any sensation, and the only side effect so far is occasional “tiny” nausea that immediately disappears after treatment. Prof Steen Dissing, of Copenhagen’s Faculty of Health Sciences is the helmet’s principal architect. The pulses activate capillaries in the brain, which form new blood vessels and secrete growth hormones. I’ts like somebody hit the reset button and I was back to normal. 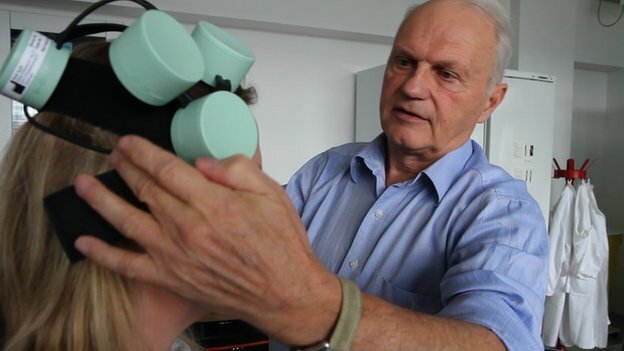 via BBC News – Depression treatment technique uses new helmet therapy. 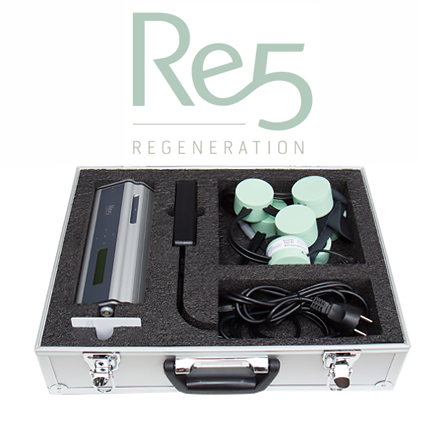 Robin is the founder of Caputron which is a distributor of tDCS and other TES devices. 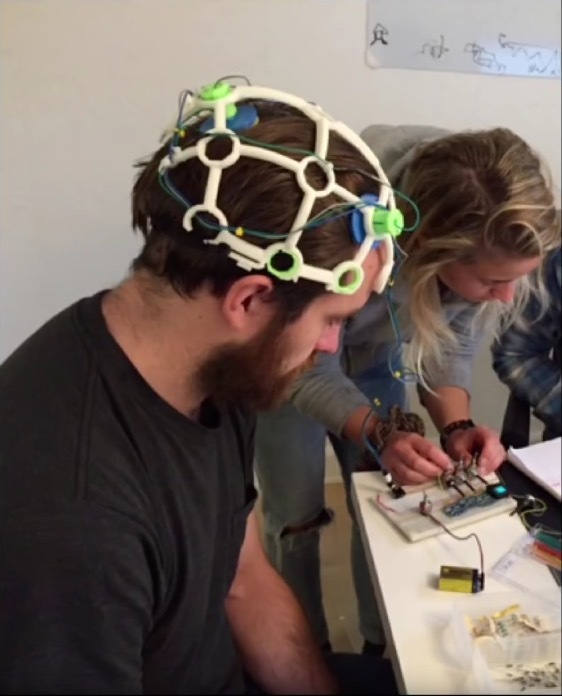 Here he demonstrates the Activadose II tDCS device. 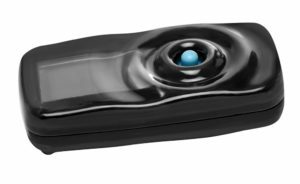 For reasons mentioned elsewhere on the blog, this is the device I recommend (this is an FDA approved – for Iontophoresis – device. I’d suggest the 2mA model with the 3×3 sponge set – this is closest to what most research studies use). 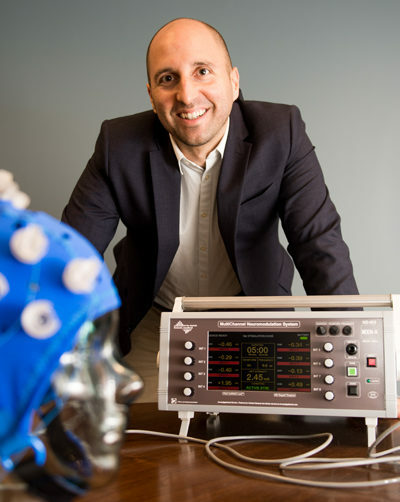 Caputron provides DIYtDCS readers a generous discount (I also earn a referral fee) when you use discount code ‘diytdcs’ at checkout (for any product offered by Caputron). I interviewed Robin back in 2015 when he was first getting started. Check out that post here. Update 7/25/18. I bumped this post to the top to alert readers to some very interesting deals Caputron is currently running. I will remove this when the specials end but at the moment you can purchase the ActivaDose Starter kit for $349, down from $399! Get an additional discount when you use discount code diytdcs at checkout! (At this time anyway, previously it’s been removed on specials.) 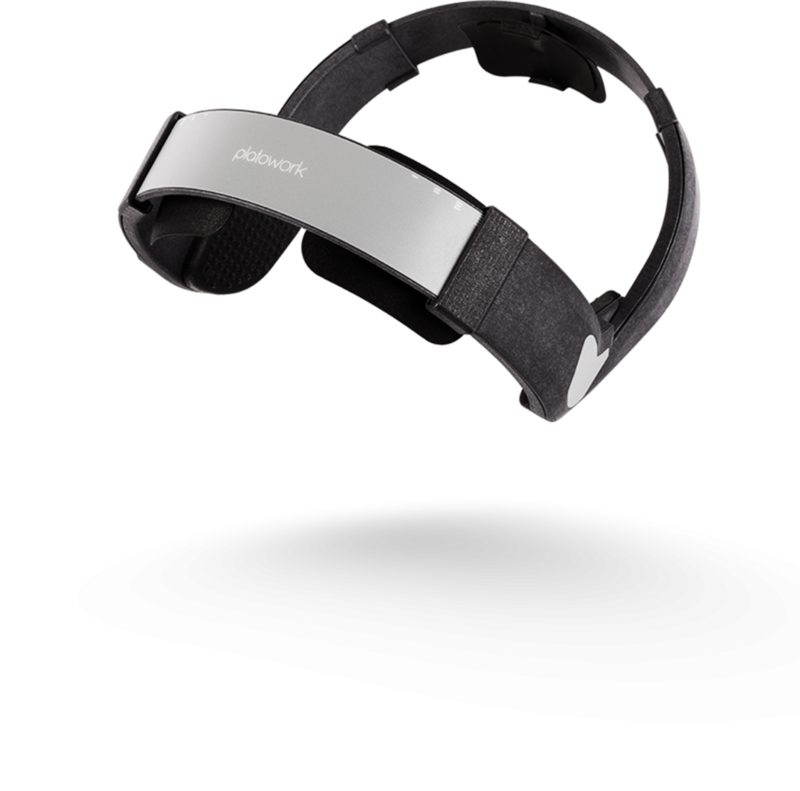 They also have the Muse EEG headband on sale at $199, that’s $50 off. Not sure how long these specials will last. If you’ve been looking to acquire either of these devices here’s an opportunity to do so at a great price. Robin at Caputron recently informed me of some new products they’re carrying including the Focus v3. The Focus v3 duplicates the functionality of the v2 (tRNS, tPCS, tACS and tDCS), but adds additional features such as what Focus calls ‘tRCS’, Transcranial Rippled Current Stimulation… as I understand it, a form of transcranial alternating current stimulation that targets multiple frequencies over time. 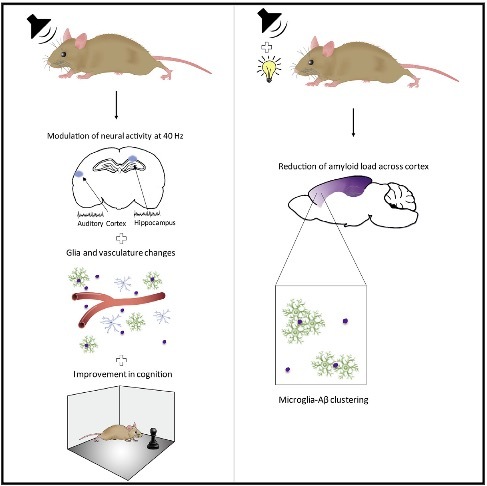 tRCS is something new, invented by Focus, and therefore we have no scientific research to support its use at this time, but it looks very interesting. Considering the variety of stimulation modes the v3 supports, this is the obvious choice for anyone wanting to replicate research in the tACS and tRNS literature. 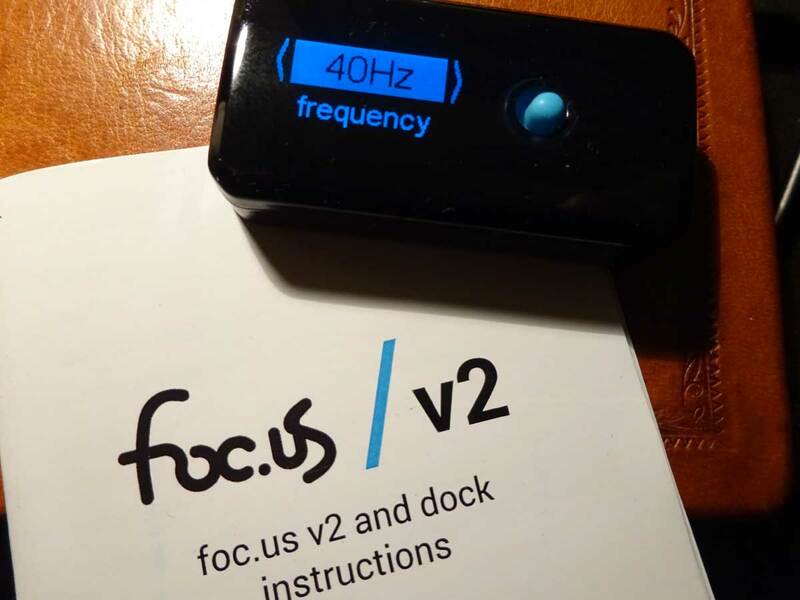 Read more about the Focus v3 here: Instructions Guide. Caputron is currently shipping the v3 with a variety of electrode options but the base unit is priced at $399. Use coupon code diytdcs at checkout for a generous discount on any product purchased from Caputron. 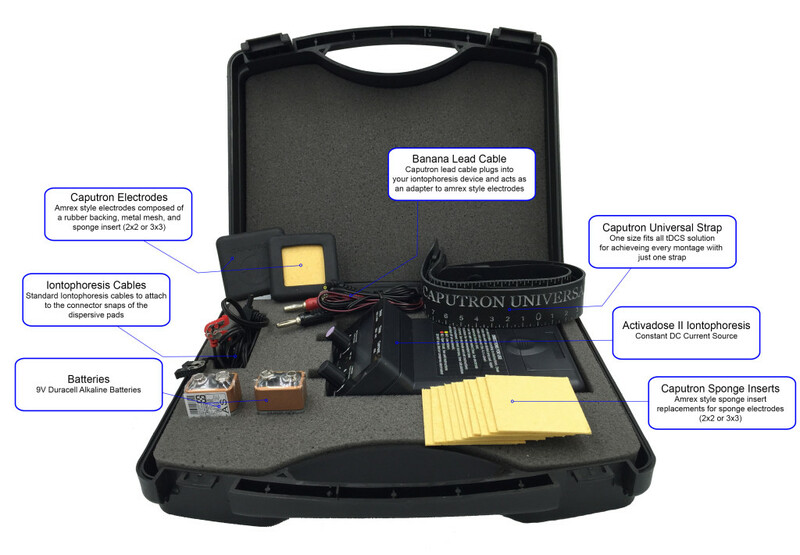 If you’re looking for a more ‘traditional’ type tDCS device, I recommend Caputron’s ActivaDose II tDCS Starter Kit. 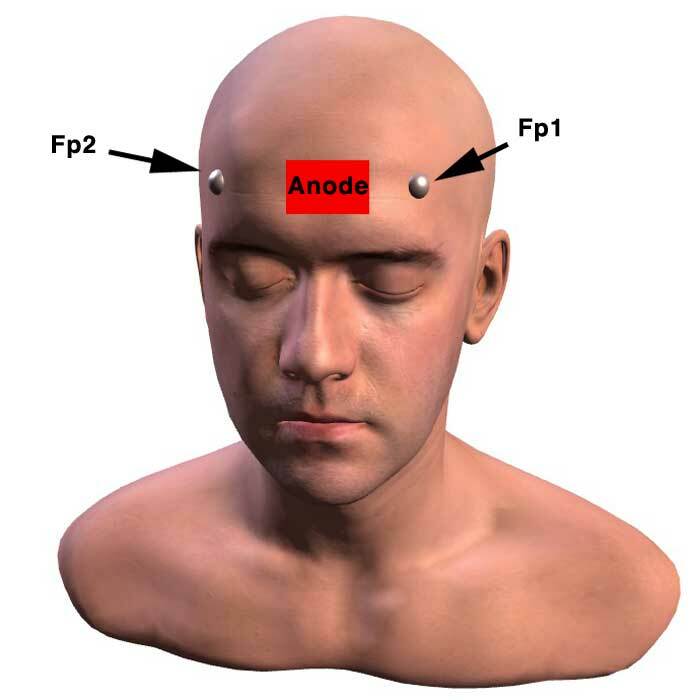 This is an FDA approved device (NOT for tDCS, but for iontophoresis, point being the electronics and manufacturing are at an FDA approved level). Note that the ActivaDose from Caputron comes as either an 80 Volt/4 mA Max unit, or a 29 Volt/2 mA Max. The cautious user would choose the 29 Volt model, as 2 mA is the maximum current used in most scientific studies. If you want a simple device your Mom could use, this is the way to go. 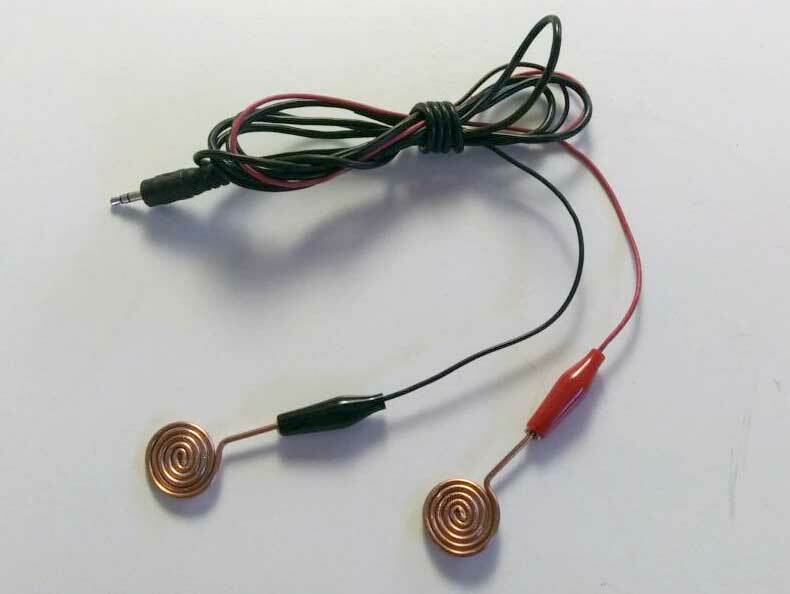 Again, Use coupon code diytdcs at checkout for a generous discount. Caputon is now carrying the Muse EEG device. They also carry more sophisticated research devices like those by Soterix. You can even purchase a TMS device through them. They have expert support and a great reputation. Shown here (from the video) working on the PlatoWork prototype. 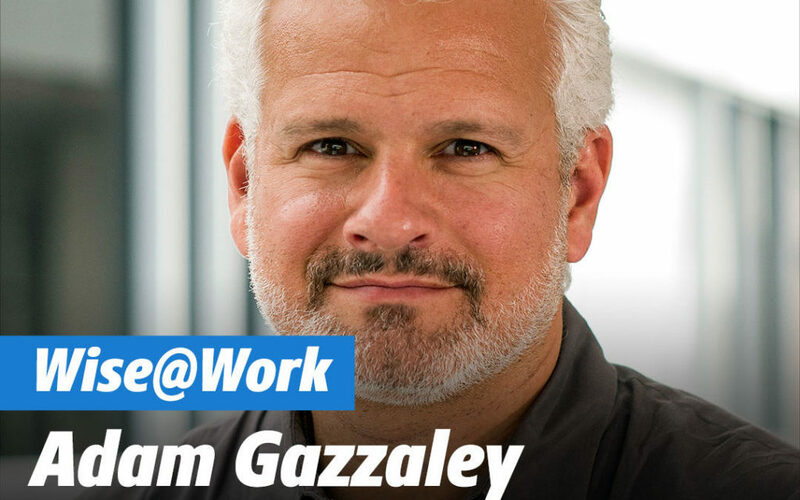 Note montage which according to the talk, would be focused on increasing creativity. In the video he calls the stimulation TES (Transcranial Electric Stimulation). 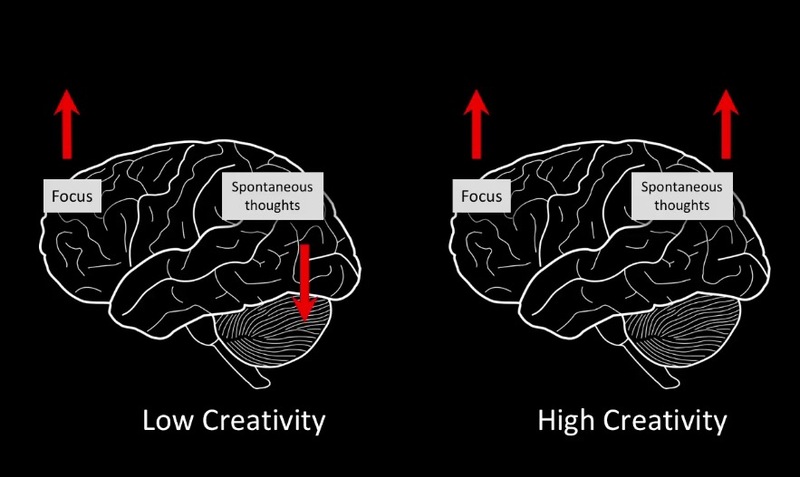 “Creative people somehow forget to turn off the spontaneous system while thye’re working on a task”. 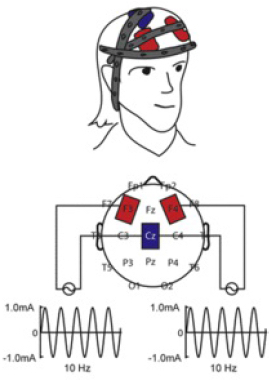 Stimulation electrodes were positioned bilaterally over the frontal cortex (centered on EEG electrode locations F3 and F4) with a common electrodeover the apex (Cz). 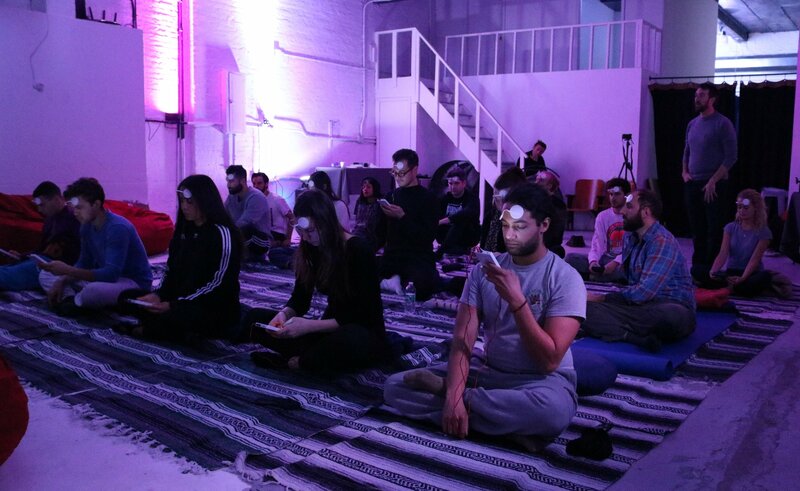 But the PlatoScience FAQ clearly states they’re using tDCS. At PlatoScience we use a version of neurostimulation called tDCS (Transcranial Direct Current Stimulation). So here we have the first (to my knowledge) commercially available (€399) TES device designed specifically to enhance creativity. Interestingly, PlatoScience has a forum and test site (according to the video) where users can discuss their experience. The device is operated via smart phone.